This Saturday the 27th our run will start and finish at JAFA (G2 & G3 towers in Ciputra) – meet at 4.55pm. Ian Fox will be continuing his program of runs customised to accomodate new runners and slackers, with a creative route developed and tested especially for the occassion – fun will be had. In parallel, Sune will spice things up and lead a longer route for those looking to maintain or increase indurance. Both of these fine leaders will ensure 5km, 7km and 10km options are catered for. By stroke of luck, JAFA as finishing point, will make do as a source of rehydration. See you there! You will notice links to the Singapore Marathon and Vietnam Vertical Run on the side of the page. Entries close for the Singapore event at the end of September, several RRR’s have already signed-up for what is a fantastic run – last year starting on the famous Orchard Road and taking in Marina Bay, downtown skyscrapers and the East Coast park. 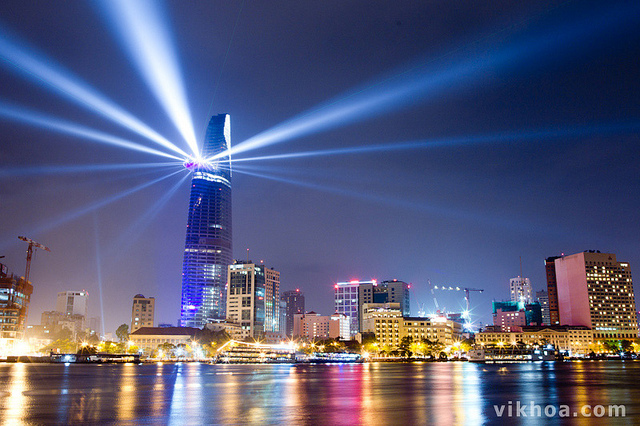 The Vietnam Vertical Run takes place on October 30th up 49 storeys of HCMC’s Bitexco Tower. Not for the feint-hearted! Red River Runners admires this vertiginous event!